This piece makes a bold statement! 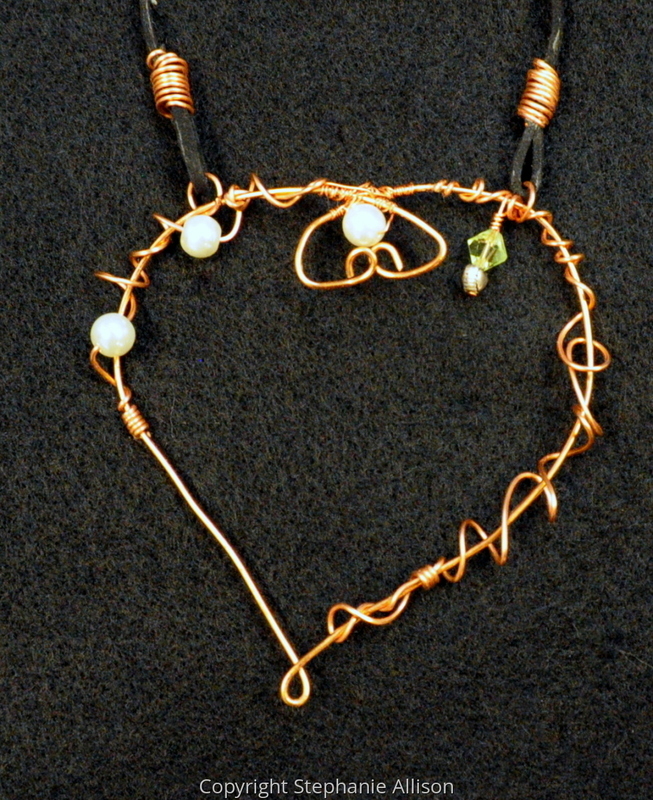 Handcrafted copper wire with pearl and green glass bead accents. On black suede cord. Handcrafted copper clasp. 18 gauge copper wire.